At the beginning of a new and wonderful autumn, on this occasion we propose a destination that intoxicates the senses and, in particular, the soul. Its about Shikoku Henro (or Shikoku Hachijuhakkasho), The Route of the 88 Temples of Shikoku. 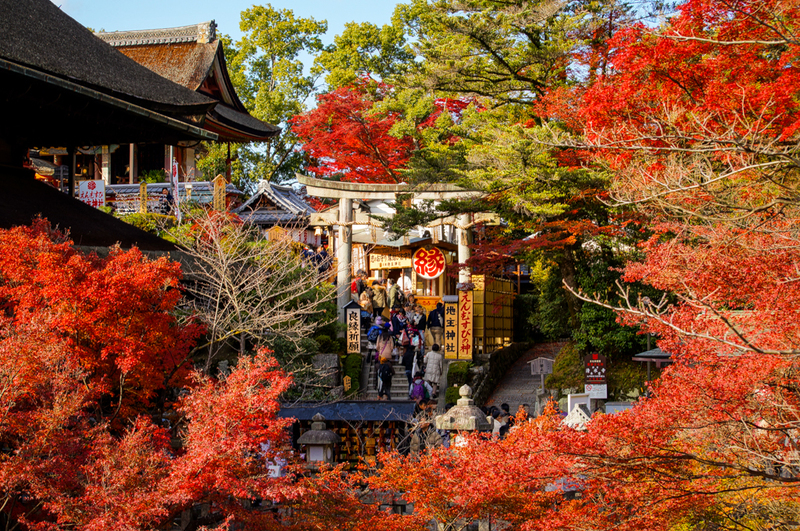 The ancestral, mysterious, colorful and mystical Japan, Is always a dream destination for those who long not only to travel, but to participate in the fullness of a special spiritual communion with Mother Nature. Home of ancient religions such as Buddhism – Imported from China – and the autochthonous Nihon (or Nippon, that is the transcription to the western alphabet of the name of this country, “The origin of the Sun”), is especially beautiful at this time of the year, in a period of stillness and recollection that invites a Mystic interior rejoicing in frames of an incomparable aesthetic. Located in the island of Shikoku (The smallest, traditional and sacred of the four main of the Japanese archipelago), is outlined as a walking tour of about 1,200 kilometers in length, with a winding circular route that takes us by 88 temples Nestled in a capricious and peaceful orography. This route is associated with the Buddhist monk Kukai (774-835), also known as Kobo Daishi, Who was the founder of the Shingon Buddhist branch and an outstanding master of the art of Japanese calligraphy, the shodo (“the path of writing”). The pilgrim’s journey will take you all over the island (Shikoku means, literally, “The Four Provinces”) In the form of four seasons – “awakening,” “austerity,” “discipline,” “enlightenment” – which will successively lead you on a symbolic path toward Nirvana. Although it is a secular spiritual pilgrimage for prayer and recollection, today it is also visited by numerous tourists “to use” – given its indubitable landscaping and cultural interest -, which move there in different means of transport Modern. The “well-done” path takes about 45 days to complete on foot, as the canons and revered kamis, the deities of the nature of the Shinto animist religion, command. For centuries, the pilgrims (henro) go from the temple of Ryozen-ji up to Okubo-ji, Clockwise, on a peripheral path around the island of Shikoku. In addition, if tradition is respected (after all, we are in Japan …), the devotee should be dressed in white trousers and jacket (adorned with characters from the Dogyo-Ninin, “Two pilgrims together”), neckerchief, A bamboo congo hat (sugegasa) and a shakujo with a bell, besides the kongo-zue, or ceremonial staff (not to lean on it) that offers spiritual support to the traveler and is left in Okubo-ji at the end of the tour . Many pilgrims also carry a nokyocho (or shuincho), where they are registering the stamps and stamps of each temple they visit. Apart from its primitive and fundamental spiritual aspect, the Shikoku Henro delights us with multiple landscaping, historical, ethnographic, gastronomic and, finally, cultural attractions, offering us a complete view of the Japanese world, more rural, collected and ancestral, as we cross the Sea of Seto to bucolic oriental traditional prints, which by rivers, forests, rice paddies and lakes plunge us into the hidden and mystical Japan that still resists the clash of modern times.